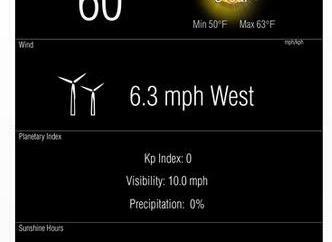 There are plenty of simple weather apps that tell you the temperature and other basic information about the weather in your area. 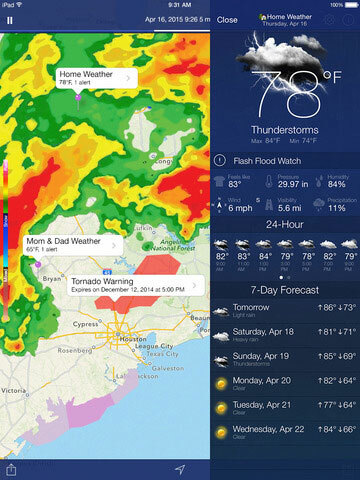 If you have to deal with severe weather in your area frequently, you are going to need an app like the NOAA Radar Pro. This app provides you real-time animated weather radar images on an interactive map and alerts you when bad weather is coming your way. NOAA Radar Pro sends a push notification when you are going to have tornadoes, snow storms, and flooding. 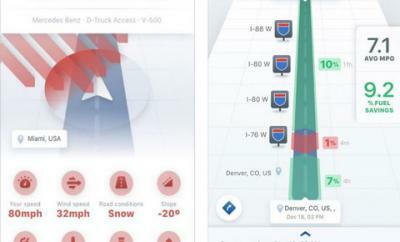 It lets you see rain, snow, and cloud overlays in high resolution. 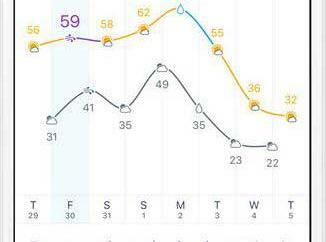 The rain map feature provides you with rain forecast for the next 24 hours. The app is compatible with your iPhone, iPad and Apple Watch. It has a notification center widget to help you get the information you need faster. You can try the app for $2.